As I write this it is two days after the summer solstice and each day the sun travels more to the south and the days get shorter. It also means the beginning of summer. Miriam Kramer recommends two books for summer reading in the Last Word. Lani Gering brings us the new and improved Farmers Market at National Harbor. In a Bit of History Sarah Becker gets the record straight that the British burned the White House. In Caribbean Connection we continue to follow our friends who are rebuilding the USVI. Read about the culture and unique sounds of these beautiful islands. Read about the Brendan Sailing Camp and founder and CEO Jim Muldoon, the owner and captain of the legendary racing vessel Donnybrook, in From the Bay. This month we took a short road trip to Occoquan, Virginia for the Road Trip column R&D. 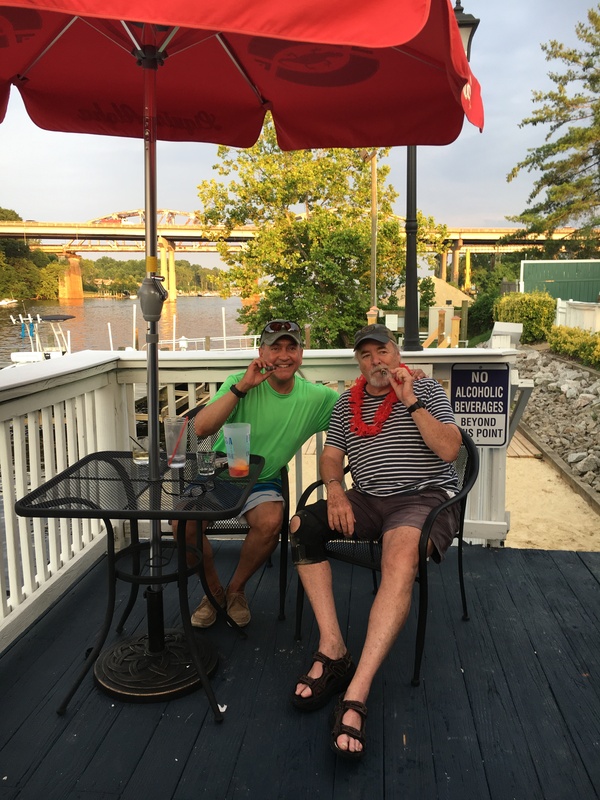 While in that part of the metro area we also visited Troy Clayton’s new venture…The Harbour Grille along the banks of the Occoquan River. We wish Troy the continued success that he enjoyed at Geranio Ristorante here in Old Town for 22 years. In Business Profile, we encourage you to take a break from the big box stores and visit Village Hardware in Hollin Hall…everything you need and more. If you are low on wine, read about the Rose’ wines in Virginia’s beautiful wine country in Grapevine and Doug Fabbioli reminds us what it means to be a Family Farm Winery in Exploring VA Wines. Check out Steve Chaconas’s take on the idea to fill Dyke Marsh along the Potomac River near Belle Haven Marina and the important role of SAV…subaquatic vegetation…in his Go Fish column. Ron Powers took a little different approach to his High Notes column this month and interviewed G.H. Hat – this is for anyone out there who aspires to get their music promoted and make a living at the same time. Finally, Lori Welch Brown talks of personal freedoms in this great land of ours in Open Space. We would also like to welcome a “blast from the past” as Al Chadsey has become the new general manager at Union Street Public House. For those of us who cut our teeth at the bar scene in Washington D.C. in the 60’s, 70’s and early 80’s, we remember Al from places like Beowulf and Pierce Street Annex. He is a welcome addition to the Old Town restaurant scene. We celebrate our fair city of Alexandria’s birthday as well as the 4th of July this month! Be sure to take advantage of the fun that the city offers at the birthday party on the 7th. Have a safe and Happy 4th of July! !